If you are looking to spend GBP 1 million pounds on buying a lavish car, you are probably considering it as an investment as you realize that the same amount of money will fetch you a decently sized one bedroom apart in some of the respectable areas of UK. Buying a luxury car can be a feat if you have a heavily padded bank account and a never ending love for technology and luxury. However, like any other vehicle purchase, the most important aspect to keep in mind is your need and how much are you willing to pay for it. The sense of how you feel is the crux of developing an emotional connection with a high end car manufacturer. But there is much more to high end vehicles than just be seen driving them. The super luxury cars offer the best in class safety options with the latest entertainment technology, the most coveted interiors and offer an array of customizations which the consumers can choose from. This beauty has been named after the esteemed Lamborghini test driver Valentino Balboni who was hired in 1967 by Ferruccio Lamborghini himself. Balboni played a major role in improving the dynamic attributes of every car model of this super car manufacturer since 1973. This car limited to 250 units worldwide. 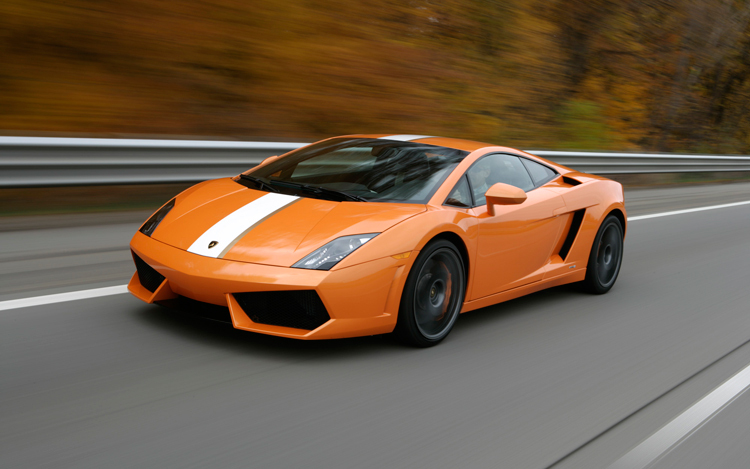 With a body to die for, the Lamborghini Gallard Balboni has a 0 to 60 time of just 3.2 seconds. This model also breaks the standard Gallardo’s traditional four wheel drive to only the rear wheel drive which is synonymous to the supercar manufacturers’ claim to fame – which effectively blends a car’s metric horse power to it’s number of driven wheels. Now feeding power to it’s rear wheels only is a sport which numerous drivers love and we suspect that Balboni is one of them. The transmission of Gallard Balboni has been moved to the rear which has resulted in a 43/57 front to rear distribution of weight. This supercar has been around since 2009 and every car will sport a while and gold stripe running down the centre of the vehicle. Black leather adorns it’ cabin with a spectacular contrasting white detailing. Launched in 2008, the Scuderia precedes the 458 Italia Ferrari model and is the lighter, faster and the most eye catching version of the F 430. The waiting list may run for up to two years and it is a popular proclamation that the purpose of building Scuderia was to showcase Ferrari’s expertise in incorporating it’s racing technologies is a street driven car. Ferrari declared that interval of the automated manual transmission has come down to 60 milliseconds from 150 milliseconds, close to the interval of that of the five year old F1 cars. The engine in this supercar is a miraculous object with a rampant 4.3 litres V8 which can make 483 horsepower. The additional 20 horsepower and the accompanying loud and enticing engine sound is what make this super car a handsdown winner. The noise and the extra power is pumped by the free flowing exhaust, revised intake manifold and a little higher compression ratio among other features. Investing GBP 1 million pounds on a Porsche 911 could seem to be a sensible decision. This super car is interactive and indulgent and makes every driving experience a memorable affair. The Porsche 911 GT 3RS packs a 500 horsepower and a 338 lb-ft of torque thanks to the 4.0 litre flat engine. The RS version has a comparatively shorter rear axle ratio as compared to the standard Porsche 911 GT3 which means faster take offs. This luxury car’s pick up is at 3.1 seconds for 0 to 60 mph and 0 to 124 mph at a mere 10.9 seconds. The VMax is reached when the speedometer of GT 3RS shows 193 mph. The body of the car is pretty much similar to the 911 Turbo version which renders a wider front and rear tracks like the typical GT3 Models. The RS model looks strikingly familiar to it’s GT3 counterpart except for sporting louvered vents on the front fenders, a huge rear wing and really large brake rotors. Also, RS weighs about 22 pounds less than GT3. The car is equipped with a front axle lift system, lithium ion battery and carbon ceramic brakes. The Porsche track precision app lets you use the GPS to compare your performance numbers as against your fellow Porsche owners. The racing history of this vintage brand speaks for itself and McLaren 12C was launched in 2011 to pay a fitting tribute to F1. The vehicle is an epitome of perfection, precision and an invaluable object to pass through space and time in the lowest time possible. Although the 12C can fairly compete with the Ferrari 458 Italia in all aspects, one specific aspect where it stays behind is the absence of much effect, noise and drama. In order to compete with the three grand exhaust pipes and the Manettino driving mode switch fixed on the steering wheel, the updated 12C released in 2013 is louder, faster with a sharper Track Mode. The turbo charged 3.8 litreV8 is fired up at the mere start and the 12C now makes everyone around aware of it’s presence even when it is idle. Horsepower is at 616 which reaches 7500 rpm and the sprint from 0 to 60 mph takes just 2.9 seconds. 12 C reaches the top speed of 205 mph. During hard snubs, the rear spoiler rises and doubles as an air brake – a feature generally present in racing cars and hardly observed on the street cars. Safety is perhaps one of the most important aspect of buying a premium car. The latest technologies offer blind spot warning systems, electronic stability controls, curtain and side front air bags and anti lock brake systems- all of which enhance the driving experience to a great extent. The intelligent amalgamation of distinctiveness together with practicality is what makes the market soaring for super cars.